Dark oak flooring has been enjoying a major resurgence in recent years and there are plenty of reasons why. You’re able to add definition, warmth, depth and character to your home, and with UK Oak you’re able to choose between solid oak flooring and engineered. Our solid oak flooring is unfinished with a few sound knots, face shakes (fine splits in the crown running with the grain), fillable defects, colour variations and some sapwood, but these slight imperfections combine to provide plenty of personality. They are also ready to be finished in any way you choose so no matter how dark you’d like to go, whether that be a subtle shade of a brown, a deep chocolate colour or a walnut lacquered finish, you get complete control. One of the big advantages of finishing solid or engineered oak flooring in a rich tone is that the beautiful natural grains and textures of the oak can be seen more clearly. We have plenty of different options available depending on the personality you’d like to add to your room. With our engineered wood flooring you get the natural beauty and warmth of solid wood in a hardwearing flooring surface. Engineered oak floorboards are less susceptible to warping and shrinking when compared to solid wood flooring, whilst our boards have been designed to withstand the demands of modern living without compromising on style. Made up of layers of different types of wood, these boards are topped off with a solid oak hardtop wear layer that can be finished in the colour of your choosing, yet we also have brushed and oiled or lacquered finishes available. Dark oak flooring will certainly set the tone and mood of your room but it can also blend well with most decors and add a sophisticated twist to a room. Deciding on the shade of your oak flooring is rather tricky and though we have a number of finishes on our website to choose from, we understand that self finishing has become more popular as there are many different oils and lacquers on the market. 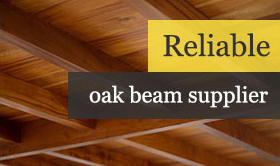 So if you do require dark oak flooring but you’re not willing to compromise on the quality of the oak but want complete control of the finish once the flooring has been laid, our unfinished oak is ideal. 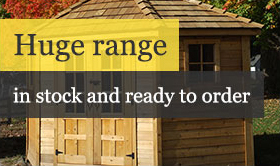 We aim to hold stocks of our listed sizes in large quantities ­– large enough for even the biggest construction project, landscaping job or internal house reconstruction, so please do take a little time to browse our online catalogue as it could prove rather rewarding! 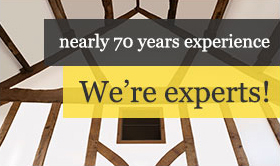 If you’d like to learn more about us, our products or our delivery service, please do not hesitate to call us on 01536 267107 or email us at sales@uk-oak.co.uk and we’ll be back in touch as soon as possible.